Main purpose of this report is to analysis Small and Medium Enterprise of Financing of Mutual Trust Bank Limited. Other objectives are to have a glimpse of Small and Medium Enterprise activities of Mutual Trust Bank and observe the function of Small and Medium Enterprise loan system. Finally draw SWOT analysis based on Small and Medium Enterprise banking system and suggest recommendation. To blend the theoretical knowledge with practical approach. To observe the function of SME loan system. For the procedure of different banking operations, I had observed the operations and walked with the officers at the same time. I had interviewed the MTBL officials for getting more information. For the analysis part, data have been collected from different statements and the annual report of the bank. The data collection method of study consists of both of primary and secondary sources. But majority of the information was collected from secondary sources. Annual report of MTBL published by 2006,2007,2008,2009,2010. Many circular published by Bangladesh Bank. The Company was incorporated on September 29, 1999 under the Companies Act 1994 as a public company limited by shares for carrying out all kinds of banking activities with Authorized Capital of Tk. 38,00,000,000 divided into 38,000,000 ordinary shares of Tk. 100 each. (i) All the types of commercial banking activities including Money Market operations. The Company (Bank) operates through its Head Office at Dhaka and 54 branches. Bank has 44 branches,10 SME Centers and 8 Brokarage houses. The Company/ Bank carries out international business through a Global Network of Foreign Correspondent Banks. To carry on the foreign exchange business, including buying and selling of foreign currency, traveler’s Cheque issuing, international credit card issuance etc. 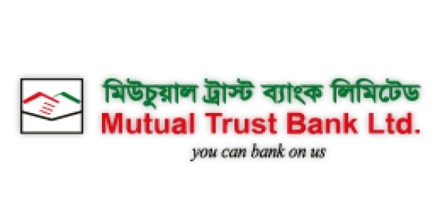 In 15th Octobor of 2009 Mutual Trust bank Limited has opened its 37th branch Elephant Road Branch at Dhaka. It has a total number of 9 employees and 6 office staffs. Also the bank has a supervisor and three security guards. The workforce is very much co-operative both to each other and to the client. This branch has four departments as the following. Pay Order and Pay clip issue. When branch need money,this department collect money from principal branch. When branch has excess of money,send the money to the principal branch. Banking is essentially a business dealing organization with money & credit like all other business activities. Banks are profit – oriented organization. A bank invites its fund in many ways to earn more and more profit and most of its income is derived from loans and advances. Bank makes loans and advances to traders, Business persons, industrialists and many other persons against security of some cautions policy and sound lending principal in the matter of lending. MTBL grant loans in various sectors especially in industry, trade and commerce. There may be different types of loans and advances given from the commercial banks. SMEs are in general labour intensive industries with relatively low capital strength. As such Bangladesh being a labour abundant & capital scarce country, SMEs have a natural comparative advantage. In recognition of the strategic importance of the development of SMEs in promoting economic growth, employment generation and poverty alleviation, the SME sector has been declared as a priority sector in the Government’s industrial policy and various measures have been initiated to help maximize the SMEs growth potential (Chowdhury, S.K.S, 2007). SME policy was developed in 2005 by the Ministry of Industries. SME foundation is an apex body of SME development. The prime vision of the SME foundation is to ensure welfare of the Young & Innovative Entrepreneurs of Small and Medium Enterprises with a view to mainstream them in economic activities. Some other important policy guidelines like the prudential Regulations for SME financing of Bangladesh Bank 2004 and Micro Credit Regulatory Act 2006 have specific regulation concerning medium and small entrepreneurship development in Bangladesh (Chowdhury, S.K.S, 2007). Bangladesh Bank as the central bank of the country is playing an important role regarding SME financing and is issuing circular from time to time for increasing access to finance. This will ensure growth, economic development, enhance employment and empower people to rise above the poverty line. Moreover, Bangladesh Bank created special fund known as ‘Small Enterprise Fund (SEF)’ amounting TK 100.00 crore set forth in BB’s ACSPD Circular No. 01 dated 02-05-04 and has introduced a Refinance Scheme for Small Enterprise Sector to provide 100% refinance facilities to support the development of the small enterprise sectors through banks and financial institutions at a concessional rate of interest that is prevailing bank rate. Recently, under BB, ACSPD Circular No. 03 dated 12-06-2008 Bangladesh Bank raised Tk. 300.00 to TK 500.00 crore (hereinafter called SEF) to meet refinance facilities to meet growing demand of banks and financial institutions. Lastly, in 305th meeting dated 29/03/2009 of BB Board of Directors raised the fund of TK 500.00 crore to TK 600.00 crore. It is required to enter into a participation agreement between BB and the lending banks and financial institutions interested to avail of the refinance facilities from BB’s SEF through ACSPD Circular No. 02 dated 19/07/2005. BB shall provide refinance facilities against the loans made by the participating bank/financial institution to the small entrepreneurs the amount of which in individual case shall range from Tk. 2.00 lakh to Tk. 50 lakh and tk. 1.00 lakh to Tk. 50.00 lakh for women entrepreneur. A small enterprise development fund of US$ 10.00 million made available to BB by International Development Association (IDA) under the Development Credit Agreement, dated 03/06/2004 between the IDA and the Govt. of the Peoples Republic of Bangladesh, the proceeds of which will be pooled with the BB’s SEF for refinancing the small enterprise lending of banks and financial institutions. In order to mobilize, extend and strengthen the SME sector a participation agreement of US$ 30 million between ADB & BB and regarding its refinance BB ACSPD circular No. 02 dated 19/07/2005 was issued (Chowdhury, S.K.S, 2007). Bangladesh Bank (BB) has for the first time fixed a target for all banks and financial institutions of distributing Tk 23,995 crore in small and medium enterprise (SME) loans for 2010. The target and policy for the SME loan distribution were announced at a meeting of all chief executive officers of the banks and financial institutions with BB Governor Dr. Atiur Rahman in the chair. The banks will give up to Tk 25 lakh collateral-free loan to small enterprises and women entrepreneurs. In these cases, the banks can consider personal guarantee including products and machinery of the enterprises as collateral. The banks will divide the whole country into different zones and a bank would choose one zone for distributing its loans.The BB governor told journalists that the banks would distribute the loans on area basis. A three-tier monitoring system will be introduced to oversee whether the loans are distributed properly. Of the Tk 23,995 crore loans, state-owned commercial banks will disburse Tk 3,897 crore, specialized banks Tk 600 crore, private commercial banks Tk 17,478 crore, foreign banks Tk 707 crore and non-bank financial institutions (NBFIs) Tk 1,313 crore. The central bank has already identified prospective small initiatives in 64 districts for giving SME loans to the entrepreneurs, and made a list of 131 enterprises including bakery, handicrafts and cold storage. The BB directed the banks to give priority to small enterprises and women entrepreneurs. The loan limit for small entrepreneurs would be Tk 50,000 to Tk 50 lakh. For the medium enterprises no figure has been mentioned. The banks will decide the amount for such entrepreneurs on the basis of need. Every bank has been directed to introduce a dedicated desk for women entrepreneurs, appoint necessary manpower and provide them with training for financing the SME sector. The BB policy said the banks would take collateral on the basis of their relation with the customers in case of giving over Tk 25 lakh loans. On the interest rate, the policy said the banks would decide on the rate. However, the banks have been asked to ensure that the rate remains tolerable and conforms the operating cost of the banks. Base of provision = Total outstanding amount-Interest suspense- 50% of the collateral security. Small and Medium Enterprises (SMEs) have been playing a crucial role in terms of economic growth, employment generation, and industrialization (e.g. through entrepreneurship development). The role of SME is mainly significant for developing countries, although the role of SMEs is diverse at different stages of economic enhancement. According to Beck, Kunt, and Levine (2005) cross-country evidence is SMEs growth and poverty. They have found a strong connection between GDP per capita and SMEs development but the relationship between growth and overall business environment for SMEs surpass the former relationship. SME credit is one kind of services that banks provide to individuals with a cluster of products through branches and other channels (Clark et al., 2007). There are various approaches and criteria by different bodies to define and determine what constitutes or qualifies an organization or enterprise as small or medium enterprise (SME). Some of these attributes are legal and administrative or statistical such as the number of employees or annual revenues. Other approaches are to reference enterprise establishment, location and ownership such as incorporation, partnership or proprietorship. Still others are designed to establish business registries, or to array SMEs in terms of various strategic factors such as autonomy or capacity to act, market orientation, commercial dependency, work culture, innovation and exports. Development partners involved in the SME sector have somewhat different conceptualization of SMEs. The major commercial banks follow the Industrial Policy definition in terms of investment capital for lending purposes. like many other countries Bangladesh does not have a single definition of Small and Medium Enterprises yet. Various Government agencies, e.g., Bangladesh Bank, Bangladesh Bureau of Statistics (BBS), Ministry of Industries, etc. use their own definition. Medium industries were defined as those industries, which have fixed assets worth between BDT 15 million to BDT 100 million under manufacturing sector. Under non-manufacturing sector small industries were defined as those industries, which employ less than 25 laborers. Medium industry in the Non-manufacturing sector is meant to include those industries consist 25 to 100 laborers work. Bangladesh Bank, World Bank and the Bangladesh Bureau of Statistics (BBS) classify Small and Medium enterprises according to capital and number of workers or labors, which are shown below in a table. Bangladesh Bank Small enterprises those are under manufacturing sector, with no more than 60 workers with total assets between BDT 0.05 million to BDT 10.0 million. The employees are not more than 20 workers with total assets between BDT 0.05 million and BDT 5.0 million for the trading sector. World Bank Small Industry which have employees are not up to 50, total assets limit is up to $ 3 million and total sales of up to $ 3 million. Large enterprises the employees are100 or more. Various organizations consult may be initiated to correspond and support their current SME definition in line with the SME definition provided by SME Foundation or a new definition may be arrived. Absence of a single SME definition makes it difficult for financial institutions to decide which one should follow. MTBL introduced Small and Medium Enterprise program in accordance with the prudential regulation and guidelines of Bangladesh bank. Earlier extending credit facilities in different sector like trade, service and industry under such kind of program were combined into credit division. But on April 2007 these activities had segregated from the credit division and separate division was formed in the name of SME Division. A large section of our business community consists of small business owners who are doing business with their own capital. Many of these small business owners are sincere, honest and hard working but cannot run properly or extend their business because of shortage of capital. They do not get enough financial assistance from banks or non-banking financial institutions mainly because they do not have tangible security to offer as collateral. Many of these small businessmen can run their business smoothly and also expand their business, if they are extended some financial support. With the objective of extending financial support to this section of businessman a new scheme named Small and Medium enterprise loan scheme prepared by MTBL. As earlier mention that MTBL newly introduced SME credit, so it is still new in market. The bank has made substantial amount of investment in SME sector covering 8.30% of its total credit portfolio. As a vision of diversifying the credit portfolio as well as to minimize credit risk, the bank is now focusing more on SME sector and gradually reducing the dependence on corporate credit. Last one year their total SME credit was BDT 1547.75 million. Enables the SME to expand their business. Loan amount up to BDT 50 lac. Loan period upto 5 years. Minimum 02 years of business experience. Up to BDT 5 lac is collateral fee. To help the genuine businessmen having entrepreneurship quality and honest to run and expand their business smoothly. To enable the small and medium community to do business with bank finance and increase their income. To improve the banking habit of self employed persons. To contribute towards development of socio-economic condition of the country. To diversify bank’s lending keeping pace with the requirement of time. Any genuine small business man having at least 3 years of experience with small capital but entrepreneurship quality with honestly, integrity and sincerely. Small businessmen with no collateral or any other security offered against the loan. The prospective borrower must have a current deposit account with the branch of the bank from where he wants to avail the loan facility. The business has to be profitable in nature. The following papers will have to be submitted by the prospective borrower while applying for loan concerned branch manager will verify the genuineness of applicant, their business, information and particulars provided in the application by an officer of the branch. He will also ascertain credit worthiness of the applicant by applying his best prudence. If all conceivable aspects of the client are found acceptable in all respect and if the inspecting officer is fully satisfied with the business prospect of the client and his credit worthiness, the branch manger will process the loan proposal and forward the same complete in all respects along with the copy of application with his recommendation to the head of SME, SME division, Head office. After the credit proposal has been approved, the credit officers of SME Head Office check whether all the security components are collected properly. If all requirements are there, documentation and arrangements are prepared for credit sanction. A sanction advice for every particular SME credit is sent to the branch manager for final disbursement. The branch manager will disburse the loan after completion of all formalities and documents. The following document must be obtained before disbursement. Without completion of any of these steps including credit assessment, approval and proper documentation, no SME credit will be disbursed. The total process started from application received at branch level up to credit disbursement can be shown in a diagram, which is common for all Private Commercial Banks who offer SME credit. This diagram along with the whole process is approved by Bangladesh Bank in a guideline named “Prudential Regulations for Consumer Financing, 2004”. Credit ceiling: Maximum amount of loan under this scheme will be up to BDT 5.00 lac without collateral and above BDT 5.00 lac with collateral for any individual/ firm for running/ expansion of his business. Risk fund: 1% or minimum BDT 500 shall be realized once at the time of disbursement of loan. Payment of loan period: The loan is to be rapid by equal monthly installments including interest within 3, 4, 5 years. Repayment will start from the 2nd month of available of the loan. The client will enjoy one-month grace period. Loan installments will have to be paid within 10th days of every following month. If any three installments are not paid, the borrower will be treated as a defaulter and a penalty interest at 1% per month will be charged on the defaulted amount (Minimum BDT.100). MTBL invest SME loan in various sector like wholesale, retail shop, repair shop, manufacturing, construction, real estate, storage and communication. Every commercial bank can act a vital role by providing loan to SME. Not surprisingly, in the competitive arena of marketing era SWOT analysis is a must based on product, price, place and promotion of a financial institute like private bank. From the SWOT analysis we can figure out ongoing scenario of the bank. So to have a better view of the present. Usage of faster Flora Banking software. Bangladesh Bank based Banking system. Competitive profit provider comparing with other bank. The bank has no own ATM booth. Competition have more attractive deposit schemes. Different classic service of other banks. Govt. imposes high rate of taxes and VAT. SMEs find great difficulties while increasing fixed and working capital because of the reluctance of banks to provide loans to SMEs. Most of them take loan last year, as I mentioned before MTBL just started this loan service last year (April 2007). Total 396 SME loan proposals sanctioned with in one year (2007-2008 till now). They take the loan for 5 years because they are low profit enterprises. From questionnaire survey the problems are found faced by customers and bankers getting and proving SME loans. According to customers MTBL required high collateral. The SME credit holder application for the loan for BDT 5 lacs because they don’t have that much wealth to keep as mortgage to the bank. Though they need more than BDT 5 lacs they cannot apply for it. The applicants have to show collateral if the loan amount is above BDT 5 lacs. For middle class people it is difficult to show collateral. One of the respondents keeps his shop as mortgage because he applied for BDT 7 lacs. Another problem faced by clients getting loan, which is the bank’s required 3 years experience in current business which is a little tough for them. It should be at least 1 or 2 years experience. Some small enterprise cannot expand their business only for shortage of capital and it is hard to run the business. The experience should be required as business types. Marcantile Bank bank requires different business experience on different business types. The common thing is that the all five customers and bankers said about the problems, most of the customers exacerbate to bring all the updated documents. The roles are made by Bangladesh Bank and the commercial banks only follow those roles. In rural area most of the customers are not high educated and they do not know about the necessary documents. To collect documents and make it update customers need at least two weeks, which also reason for delaying getting loan. The processing for loan application forms and for investment financing from banks is lengthy, annoying, and redundant. From the survey customers said that the processing of loan disbursement is lengthy. MTBL takes 15 to 20 days for CIB (credit information bureau) to be returned back to the branches. After getting CIB report it takes again 15 to 20 days to sanction and customers want fast service delivery. Getting CIB report takes 15 to 20 days because Bangladesh Bank provides the CIB report. Approval of CIB report generally it takes at least 10 to 15 days for almost all banks to loan disbursement. The interest rate is comparing low than other commercial private banks. The other banks like BRAC bank interest rate 25%, Dhaka bank Ltd is 18% and Eastern bank Ltd is 21%. The SME credit holders are small traders so want low interest rate for long duration. The flexible installment and the time duration of repay of loan are highly appreciated by customer. MTBL offer three types of loan repay duration they are 3 years, 4 years and 5 years. Comparatively the bank is new in this field that is why they could not establish all the facilities and achieve the satisfactory level of customers. But MTBL is planning to add new features so that it can compete with other commercial banks. They have already appointed some new employees for adding attractive features. There is shortage of people of managing relatively fast growing business and lack of business skills. These entrepreneurs need some guidelines to run their business. The MTBL currently faces the lack of facilities to provide any suggestion to customers to run their business in a profitable way. For example standard chartered bank and HSBC bank provides cash management and treasury services as business counselor and adviser to the customers to run the business profitably. MTBL does not have any promotional activities for SME loan. As they are new in market they have to use high promotion to aware customer about their products. They only use direct sales agent, which is not sufficient. The high processing and monitoring costs of loans to SMEs banks are shy to provide loan to SMEs. Though customers repay the every installment with in due time, bankers are not interested to provide loan to small and medium enterprises. Because SMEs do not provide real estate asset to use as collateral and necessary documents to obtain loans and it is the main barrier. They prefer and feel easy to provide consumer-financing loan, which are home loan, car loan, home repair and others. As a developing country SMEs is important sector to achieve the desired growth rate of GDP. The manufacturing sector has to be made extremely animated, increasing both its growth rate and its involvement to the GDP by leaps and bounds. The most cost-effective way for this would be through development of SMEs. Higher growth of the Small and Medium Enterprises (SMEs) can help cut poverty to a satisfactory level by eliminating various prejudices against labor intensive and creating jobs for the skilled manpower in the SME sector. MTBL can capture middle class, upper middle class and upper class businessman who would be their targeted clients. They can separate cells for separate clients segments or separate business sectors. Like garments, suppliers, manufacturers, agriculture, importer exporter, and other sectors they can offer SME credit. The promotional activities of SME credit of MTBL are inadequate. They have to more aware about promotional activities, because clients are only informed by more promotional activities. Large number of people watches television and listen radio that can able to draw their attention about SME credit and also by colorful billboard. MTBL can sponsor events and program that support and encourage the entrepreneurs. Other states have programs that recognize the achievements of entrepreneurs and promote opportunities of entrepreneurs. MTBL can organize annual awards that recognize the best business plan, which also encourage many other entrepreneurs. The SME loan disbursement process involves unnecessary delays, harassment and side payments. The procedure needs to be simplified and the issuance of the loan. The proposed investment should be legal and conformity with the rules and regulations. MTBL should develop their IT department to centralize the data of client which reduce time and cost. Between SME Head Office and branch can communicate and share the necessary documents. Online loan sanction from SME HO to branch helps to reduce the lengthy process. Simple loan processing for expanding business, quick disbursement and flexible monthly repayment plan which are helps to serve fast service, which also satisfied customers. SME entrepreneur of Bangladesh lack business skills and knowledge about how to start and run business. MTBL can provide suggestions to their customer to run on the business and keep up date data about their cash flow. It helps to predict up coming loan installment payments from customers. If a business seeks to grow and succeed, these professional acquaintances are needed to perform certain task that required specialist expertise. At this stage MTBL can play the role of accountants, lawyers, consultants in improving the effectiveness of planning in small and medium busineses. Mutual Trust Bank Limited (MTBL) is a third generation private commercial bank in the country with commendable operating performance directed by the mission to provide prompt and different services to clients. MTBL successfully celebrated its ten years of operation. It provides a wide range of commercial banking services MTBL has achieved success among its peer group within a short span of time with its professional and dedicated team of management having long experience, commendable knowledge and expertise in conversation with modern banking. MTBL Is engaged modern banking. The management of the bank is maintaining an efficient portfolio in order to have a healthy worth and retain customer satisfaction. The management of the bank is planning to meet the required capital adequacy withering the stipulated time frame, and a loan and advance policy that expected the loan loss provisioning in the future will be within tolerable limit having little material impact on the future profitability as well as net worth. MTBL aspire to be the most admired financial institution in the country, recognized as a dynamic, innovative and client focused company, that offers overall array of products and services geared for excellence and create an impressive economic value. MTBL has adequate modem technology to meet its present requirement and it proceeding aggressively to enhance its technology level.SME credit has been a fabulous modernism in the private commercial banking sector in recent years. The growth of SME credit, especially, in a developing country’s economy, is feature to the rapid advances in information technology, the developing macroeconomic environment, financial market reform, and several micro-level demand and supply side factors. In today’s Bangladesh, SME sector is improving, banks, especially, the private commercial banks can play a big role for developing SME and constantly point to make profit and satiability revenue from SME credit. In particular, SME credit constancy is seen as important for commercial banks seeking to balance the instability of riskier business lines, such as trading and other capital-market activities. While SME credit offers exceptional opportunities for growth, the challenges are equally demoralizing. However MTBL is newly introduce the SME credit in market, it will be able to survive in SME banking industry in future will depend upon the capacity building of the banks to meet the challenges and make proper use of it’s opportunities in profitable way. Though MTBL has some problems, it has also some opportunities. The first year investment indicates high prospective of SME credit of MTBL. The demand of SME credit is increasing day by day and MTBL can cope up its problem, which can be able to continue its journey in profitable path.